A. M. Shaffique, J. 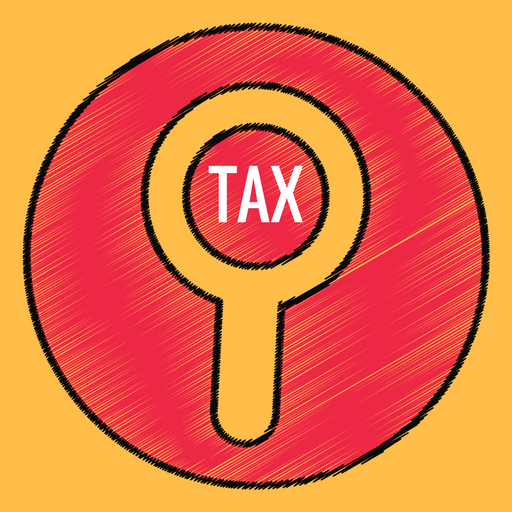 – This appeal is filed by the assessee against the order of the Income-tax Appellate Tribunal, Cochin Bench, in I. T. A. No. 119/Coch/2010 in respect of the assessment year 2005-06. 2. The short facts involved in the above appeal are relating to the contribution made by 12 persons amounting to Rs. 51,20,000 during the assessment year 2005-2006. The Assessing Officer found that the assessee has accepted the aforesaid amount contravening the provisions of section 269SS of the Income-tax Act, 1961 (for short “the Act”) and initiated proceedings to impose penalty under section 271DD of the Act. The assessee tried to explain the said allegation by contending that the aforesaid amounts were collected from promoters who are not aware of the provisions of the Income-tax Act for the purpose of establishing a business unit. They were supposed to be partners in the above business activity conducted by the assessee and in so far as the amount is utilised for the purpose of business, and that too, for want of liquid cash, the investment was genuine. The Assessing Officer did not find that the transaction as explained can be accepted and, hence, imposed a penalty of Rs. 51,20,000 equal to the amount of cash loans taken by the assessee for contravening the provisions of section 269SS of the Act. Though the assessee filed an appeal, the same came to be confirmed. The assessee preferred a further appeal to the Tribunal, which resulted in the impugned order confirming the penalty imposed on the assessee. 1.The Appellate Tribunal is justified in dismissing the appeal against the imposition of penalty for the reasons stated by it confirming the penalty without considering the materials on record and submissions made by the appellant ? 2. Is not the decision of the Appellate Tribunal contrary to the well accepted principles of law governing the issue as laid down by the hon’ble Supreme Court of India, this hon’ble court and various other High Courts ? 4. On a perusal of the questions of law, we do not find that there is any material to substantiate the questions raised by the appellant. The main allegation raised by the Assessing Officer for imposing penalty was that the assessee-firm had received cash in excess of Rs. 20,000 in violation of section 269SS. The contention is that the persons who had paid the cash were promoters of the firm who are supposed to be partners and since contribution was made in the first year of business of the firm, the funds for the business was mobilised in the form of capital contribution. According to the appellant, the investment made by the partners in their respective capital account is genuine and there is no violation of section 269SS. The main contention raised is that no penalty could have been imposed on the assessee, if reasonable cause for the failure for not receiving the loan by way of account payee cheque can be shown by the assessee. The authorities below as well as the Tribunal, on verification of the materials on record, came to a finding that the audit report and balance sheet of the assessee had shown the outstanding amount as loan received from 12 persons. Therefore, the contention that the amounts received by the assessee was from promoters/partners of the firm was not accepted. The provisos to the above section have no application to the case on hand and, therefore, a bare reading of section 269SS indicates that no person shall receive from any other person any loan or deposit other than by way of account payee cheque or account payee bank draft, if the amount is Rs. 20,000 or more. Of course, while imposing penalty, it is possible for the authorities to consider whether there was any reasonable cause for receiving the said amounts without complying with section 269SS. None of the authorities have found that the reasons stated are genuine and can be accepted to avoid payment of penalty. On facts and materials relied on by the assessee, it is found by the authorities that the contribution made by the respective persons was treated as a loan and the explanation that they were to be made partners later was not accepted. Hence, we do not think that the said factual issues can be reopened and challenged in the present appeal. The findings of facts by the authorities are neither perverse nor illegal in any form. Hence, we do not think that the questions of law now raised by the appellant arise for consideration in the present appeal. This entry was posted in Section 269SS, Section 271D and tagged 362 ITR, In favour of Revenue, Kerala High Court, Penalty u/s 271D.